The Tigers have the best closer in the AL right now; Shane Greene, after a great 2018, has 8 saves so far, seven of which were recorded in record time. 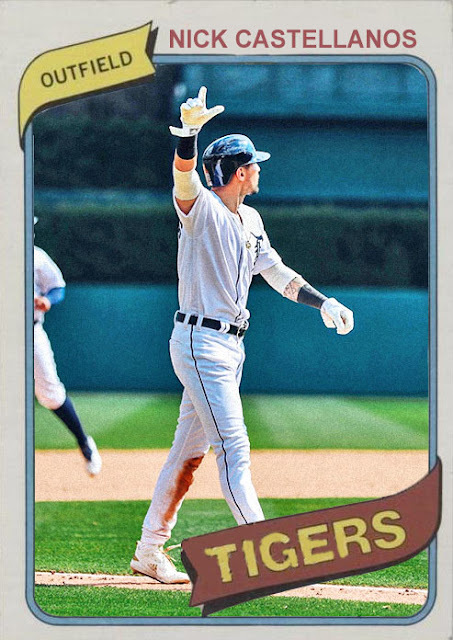 The Tigers are also experiencing a welcome breakout from 2018 bench player Niko Goodrum, who's leading the team in on base percentage, and sharing time between the infield and outfield after departures from Mikie Mahtook and, for injury-reasons, Jordy Mercer. The core of the team is also still pretty intact- Miguel Cabrera and Nick Castellanos are still great in leadership positions, Jordan Zimmermann is finally productive as the team's ace (though Matthew Boyd's stuff is considerably scarier), and having Tyson Ross in the rotation was a surprisingly good idea. Also, Christin Stewart is gonna give some hair-raising stuff once he figures out how to hit for average. The problem is just some inefficiency from some of the lineup members, and the boilerplate nature of many of them (like John Hicks, Grayson Greiner, Jeimer Candelario, etc). This isn't a must-see team; this is a team that wins games and gets lucky but is largely unspectacular, and doesn't really have that wow factor. Their biggest star, Miguel Cabrera, only has a few years left, and is essentially resting on mythology at this point. They don't really have a next big star stepping up to claim the team- there's Casey Mize a few years away, but they kind of have to make due with mid-level teams until then. So...they'll win some games, but right now they're shooting for third place. Which is...an improvement, but not by much. Coming Tonight: Coming off a beautiful 2018, the unofficial leader in St. Louis continues his dirty work.